There are several reasons why you may want to send a text message online with the primary one being high charges. These days carriers charge more than required to send a simple text message and that’s why you should consider sending a text message online. There are several websites which allow you to send text online but my favorite is Gmail. Anyways along with Gmail here are some other sites you should definitely try to send SMS over the internet for free. If you think Gmail is just meant for sending and receiving emails over the internet, then you are probably living in the stone age. The twenty-first century Gmail allows you to send SMS over the internet. 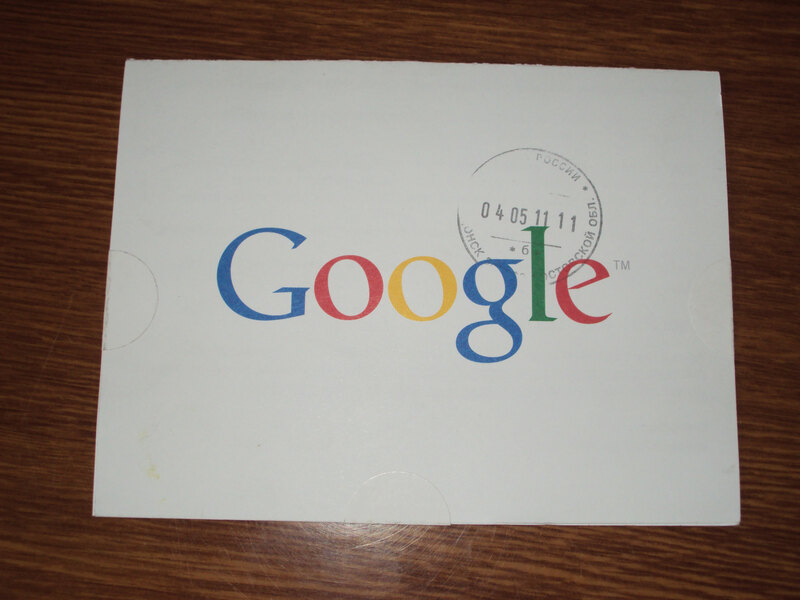 With Gmail you can send SMS online to anyone anywhere in the world free of cost. Yes you don’t have to pay a penny to send SMS through Gmail. All you gotta do is to enable SMS (text messaging) app from Google Labs -> Enter the number you wish to send text to in the Google Chat box and hit the Enter key! That’s it. For complete instructions check out this. You can also send international text messages for free with Gmail. You get fifty free credits. One credit = one SMS. If your credits get over, you do not have to buy them but earn them. For every message you send you lose one credit and for every reply you receive you earn five credits. Anyways you cannot have more than 50 credits at any given time. If your credits reach zero, you’ll automatically get one credit after 24 hours. You can alternatively use your last credit to send a text to yourself and then reply it using your phone to earn 5 more credits. Text’em is another service which free text messaging. However I’m not a big fan of theirs since they support only US carriers which means you can send text only to phone numbers registered in the United States. While Text’em can’t be used to send texts locally, you can use it to send text to your friends based in the United States! All you gotta do is to visit textem.net -> Enter the recipient’s phone number, your email address (if you want to), the recipient’s mobile carrier and you are done. 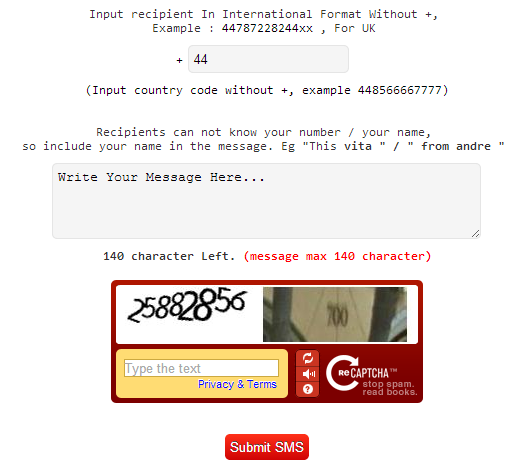 You do have to agree to their terms and conditions and enter a security code to verify that you are a human. Messages cannot be longer than 155 characters which is the standard limit. CBFSMS is another free online text messaging service. There’s no catch but it only works with United Kingdom networks i.e you can send an SMS from anywhere in the world to a UK phone number. They don’t sell your phone numbers. There’s a character limit of 137 characters. If your message is long you can always divide your text into two and send two messages. You just have to enter the phone number and your message to use CBFSMS. There’s also a VIP package available for those who need more. 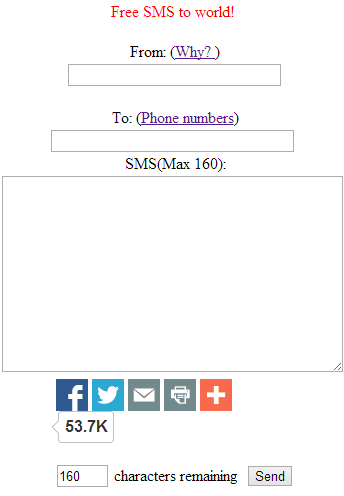 Enter the mobile number you wish to send SMS to. Also enter a message. Enter the verification code and hit Enter! It does allow you to send text messages from your PC worldwide, but it does not support all the carriers. 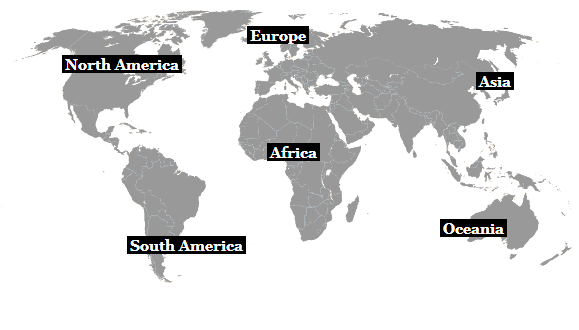 For example it just supports one carrier in Africa. However TXT2Day is good if yo wish to send SMS to USA or Canada because it supports all the carriers there. It works the same like the other services we discussed i.e. 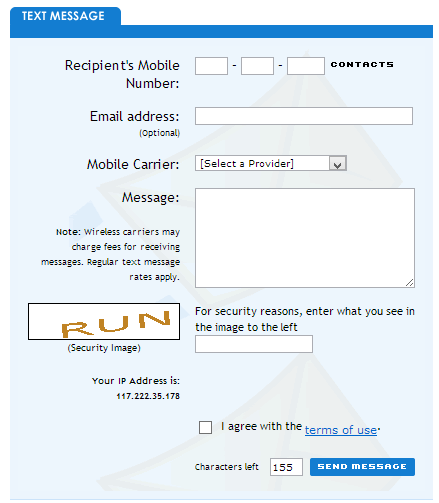 enter the phone number, your message, a security code and your message is sent! I’m not sure if I should be mentioning this service here because TextSendr looks like a clone of TXT2Day to me! It supports the same carriers. The only thing different is that TextSendr has a Chrome app using which you can send SMS directly from your browser without going to their website every time. It even shows you the number of people currently using their service. 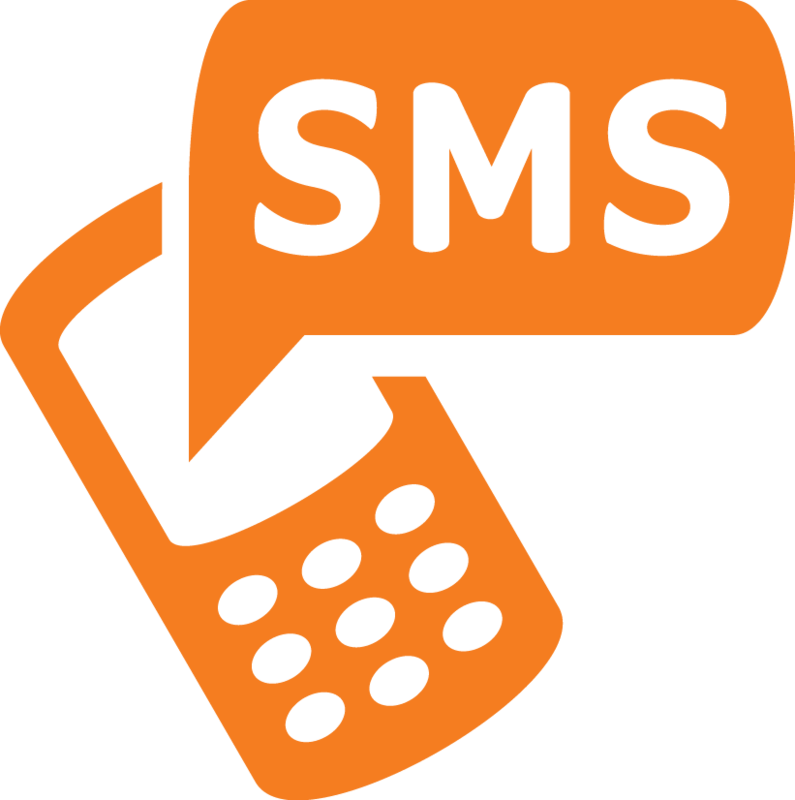 Like many of the above services OFSMS allows you to send free text messages to anyone anywhere in the world. However they recommend mentioning your name somewhere in the SMS so that the receiver comes to know that you have sent it. They have a 140 characters limit so make sure your messages are small than it. If your messages are longer than the prescribed limit, simply divide them into multiple messages. Though a nice site, I really had a tough time finding the page from where I could actually send SMSs. The site’s design is cluttered and there are too many advertisements. Well that shouldn’t be something you should be complaining about because they’ve to make money from somewhere to keep the site running. The site allows you to send free SMS to over 200 countries with a character limit of 100 characters. I guess they reserve the other 40 characters for advertising their service. They even allow you to send multimedia messages (MMS), voice SMS, makes free voice calls and more! 24sms.net is yet another free text messaging service. Their interface is too simple probably old-school but still a good service to use. Unlike other services we covered above, they ask you to enter your phone number (if you want to). This enables to remembers the messages you have sent using their site or app. Now those are some services I came across. Skype too allows you to send text messages over the internet but they charge you a small amount for that. If you have tried any other service worth mentioning here, please recommend please use the comments box and we’d be more than happy to include your suggestions in this post. Most of the services we’ve covered here except Gmail SMS are one-way texting services i.e. you can only send SMS but not receive SMS online. If you need a two-way messaging service, try Gmail SMS. 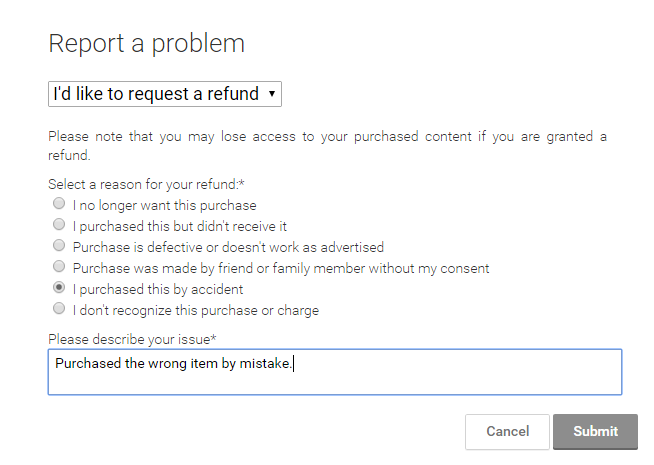 How to Change Adsense Log in Id Even if You’re Using A Gmail Account? Does the Gmail’s New Log-in Page Annoy You Too?